Aric has also held faculty positions at the University of Wisconsin-Madison, University of Arizona, Tilburg University, and Korea University. Prior to earning his Ph.D., Aric worked in marketing research for Millward Brown (Chicago) and in advertising for J. Walter Thompson (Tokyo). He also served as an officer in the US Army Reserve. 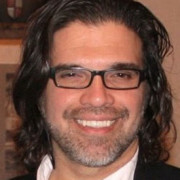 Aric’s research focuses on brands, materialism and new product development, and has appeared in the Journal of Marketing, Journal of Marketing Research, Journal of Consumer Research, Journal of Consumer Psychology, Journal of the Academy of Marketing Science, Marketing Letters, Journal of Public Policy & Marketing, Journal of Interactive Marketing, Journal of Operations Management, Strategic Management Journal, Human Communication Research, and Business Horizons. He is an area editor for the Journal of Marketing, International Journal of Research in Marketing, and Journal of Supply Chain Management, and a member of the editorial review boards for the Journal of Consumer Research, Journal of Consumer Psychology, Journal of the Academy of Marketing Science, Journal of International Marketing, Journal of Public Policy & Marketing, and Marketing Letters. He currently teaches courses on marketing management, digital marketing, and 3D printing.